Finally, We have completed our testing on the new A52S Super Sluicebox. We have been working on this project for years and decided recently, that this is what the market really needed. 8 weeks of spending every weekend out in the field, testing multiple screen and riffle variations. 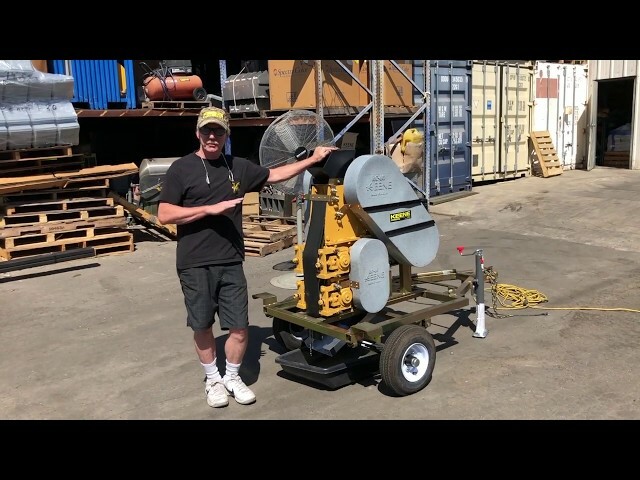 We now have taken the best of our testing and have the ultimate sluice box where a customer who already has a A-52 can upgrade their sluice to the new designs. Equipped with an upgraded Mini Max legs system that allows you set up in just about any conditions, quickly. Upgraded riffle design optimizing, fine gold recovery with the use of expanded metal, miracle matting and carpet with Hungarian regenerative riffles. The new classifier screen consists of grizzly bars, aluminum punch plate and woven wire that provides the perfect classification for all sizes of material. This amazing box, allows you to feed unclassified material without classifying to yield, maximum yardage. 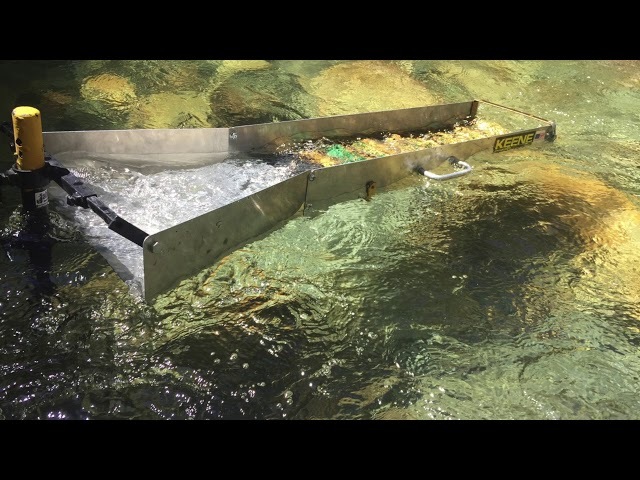 This sluice box will handle more material than any other box out there and provide the ultimate in fine gold recovery. You will find more gold with this sluice because, you only have to handle the material only once. Just shovel bank run directly into the box or dump buckets of unclassified material into the sluice. The New A52S sluice box can handle at least double what any other sluice can handle, for its size. This new sluice box is also expandable into a high banker or dredge. We will be offering most the individual parts for most other sluice boxes especially the A52 and we are working on a screening system for an A51 sluice as well. 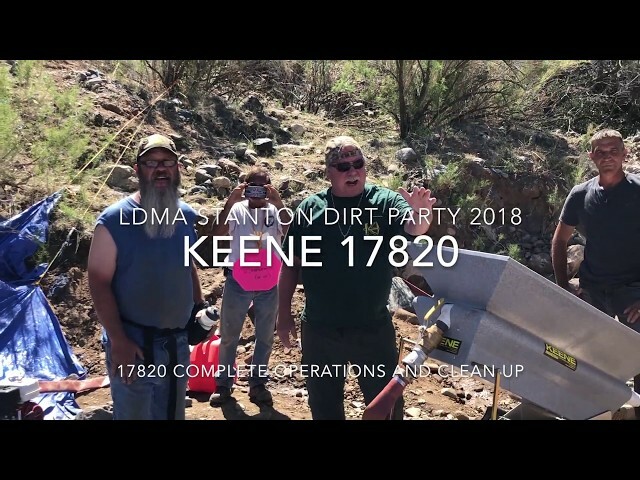 Patrick Keene and Mark Keene went out this last weekend and completed test #7. 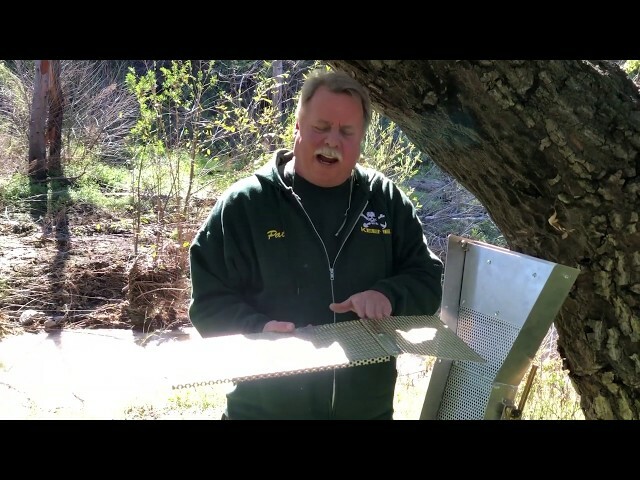 Be sure to watch the end of the video demonstrating all the new options that you can build from your sluice box. Once again, we both learned a lot and had a great time. We tried out several new screens and unfortunately with the few minor changes made in production things did not perform as expected. We had to make many changes to the framework and the screens. After making some of the changes in the field we had the system working much better. The good news is the recovery was amazing, the new woven wire top screen really did the trick. Customers first experience with new dredge. This is Keene Engineering's Newest 6" dredge that is designed for super fine gold recovery even down to 300 mesh. 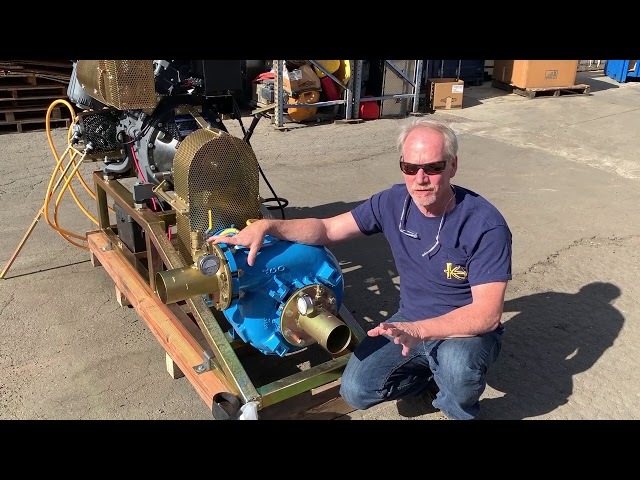 This new dredge has it all, portability, breaks down into small component, amazing fine gold recovery high power and more. The new flotation system provides superior stability even in fast water and is very comfortable with all the deck space and the large carpeted center platform in center. Special thanks to Tyler Trembeth for letting us use his footage. Patrick Keene and Mark Keene went out this last weekend and completed test #6. Once again, we both learned a lot and had a great time. We brought out 8 different test bottles of gold, containing small flat flakes and super fine gold. The good news most everything worked well and some screens worked better than the others. We already have new sets or screens ready for testing for this coming weekend "Test #7". Rain or shine. Most likely rain. Most people would be more than satisfied with what we have accomplished however, we believe that we can do better. We are excited to try out the new upcoming grizzly bars and woven wire. Even in our dredges, we have been getting away from the punch plates due to the gold skipping over however, with a grizzly bars or woven wire, this is not a problem. We just hope that the speed of water under the screen stays at the lower speed and velocity like we are seeing now. The modifications we have made are showing excellent recovery results. We are waiting to get more results from our testers, Kevin Brown and Nick Kieth. Keene Eng. strives to build the best mining equipment in the world, pushing the limits and constantly evolving. 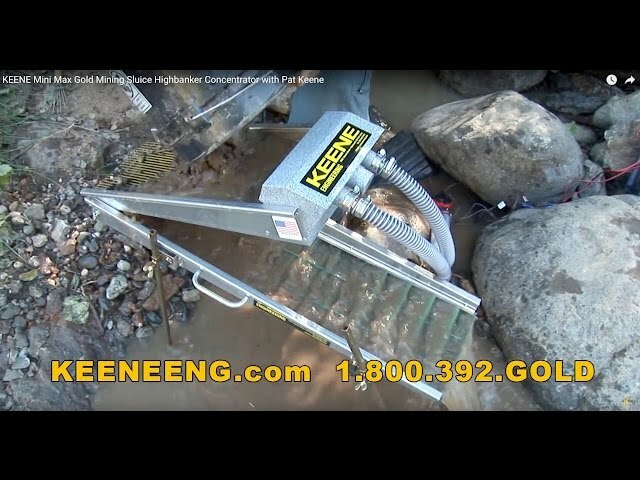 Keene Engineering is bringing you along on our testing and development of our new A52S sluice box. We will be achieving the best high production sluice box ever built. The sluice box will eliminate the need to pre-classify material. This will allow you to move more material with less effort and better gold retention. This is also the easiest sluice box to set up, clean up and work in a greater variety of conditions. We will also be offering all these options for the thousands of a52 sliuce box's that are out there. The box is also expandable into high bankers and dredges. Follow us along and you may learn a thing or two, We are!!! We are demonstrating the latest sluice box upgrades for the A52 sluice. 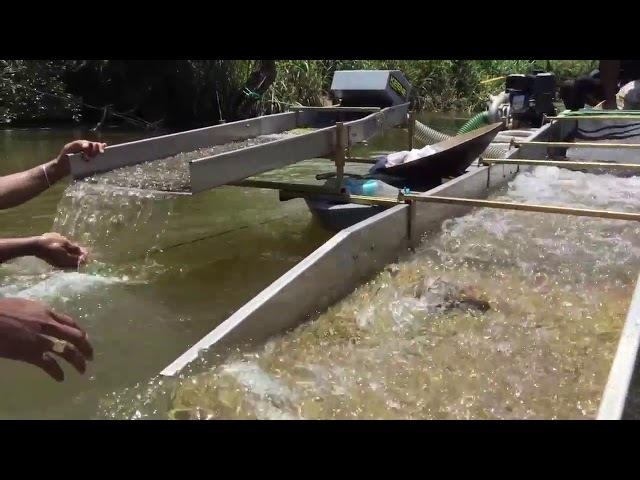 We are taking you through a series of outings showing the progression of building the perfect sluice package. This is about the 4th trip out with the new box and more changes every time we take it out. 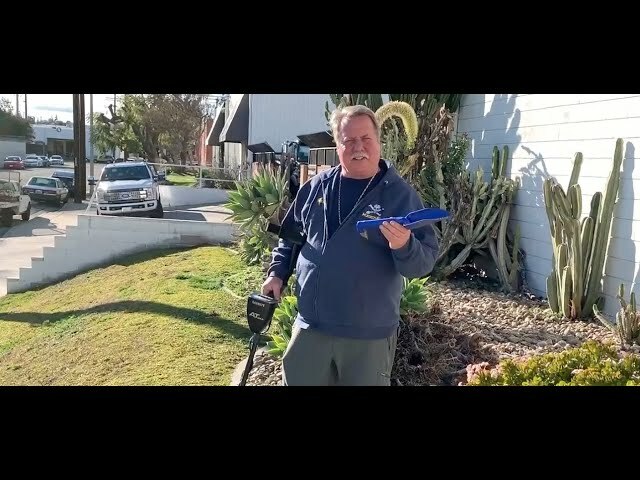 We are also demonstrating our latest Keene crevice trowel, and honestly, this is a game changer light bulletproof the ultimate digging tool. 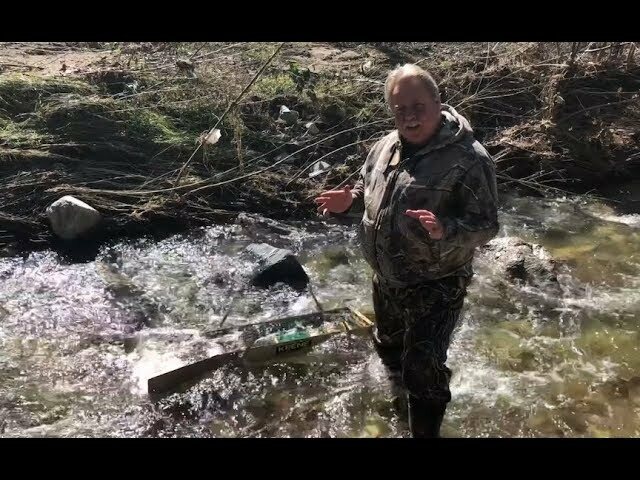 We are showing the new folding leg system, New classifier screening system and some new rifle designs and mats for the sluice box as well. Once perfected we will offer these upgrades as a package or independently. 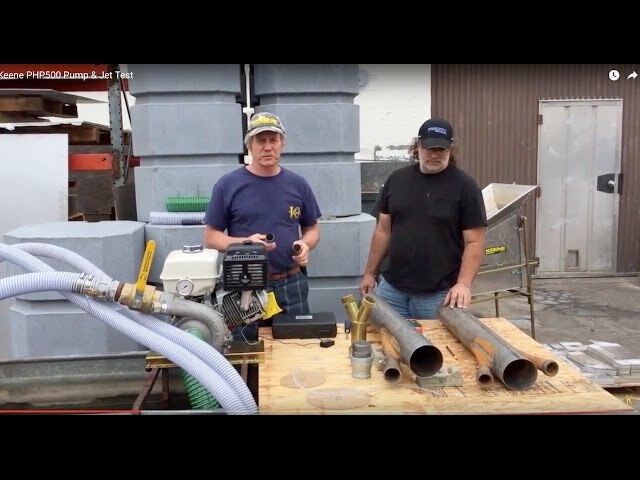 How to prime a Keene dredge pump. 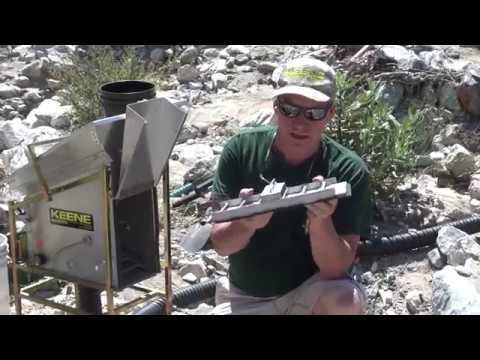 This is a quick video on how to prime a centrifugal pump on a gold dredge. Covers a few basic techniques and tricks. This is a 4" gravel pump system that can pump high percentages of slurry over long distances. The pump can handle up to a 3.5" sphears. Used for mining applications and reclamation. Powered by a 60 hp diesel engine. 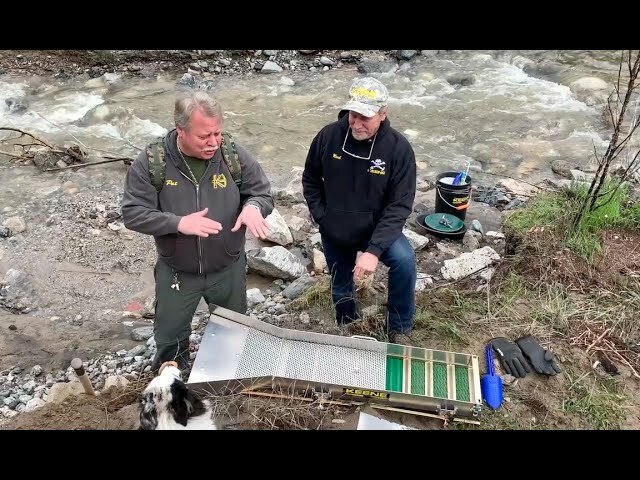 Mini max sluice set up and operation. flare converts the system into a hand sluice as shown in Concentrator Kit- Model MMPSCK. American made and built to last. Mini Max Power Sluice Concentrator Kit- Model MMPSCK Weight 23 lbs. 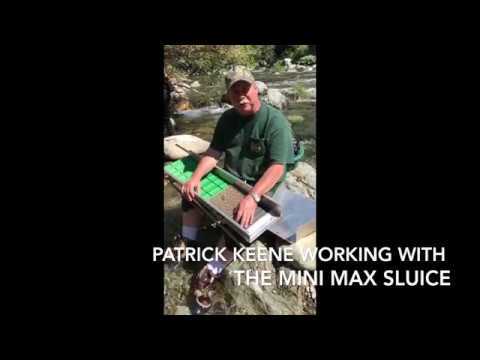 The sluice box in the video is part of the Mini Max package. on to it, and you’re ready for some serious sluicing. The Jabbit can handle depths of up to 30 inches of water. 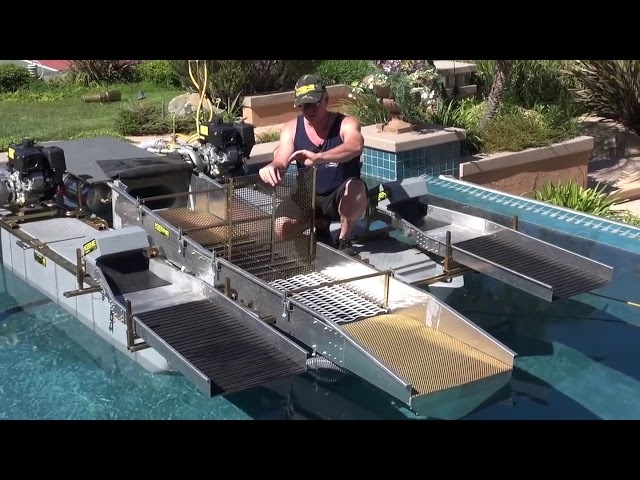 Your sluice box will float effortlessly and correct its position for ideal water flow with its “Weathervane Swivel Action”.The sluice slides off easily, making clean up and setting back up a breeze. Only 12 lbs. Drilling into the side of your sluice’s flare is required. This video is on our RC46DR Double Roller Rock Crusher. The video covers basic set up, operation, maintenance, and troubleshooting. The RC46DR has proven to be a real workhorse for over 38 years. We have upgraded it with a double roller system that does require more maintenance and a higher level of proper setup. We walk through step by step procedures on startup, operation and some detailed instructions on appropriate adjustments. The upgraded crusher can produce up to 2000 pounds per hour and deliver crushed powder around 50 to 100 mesh in a single pass. 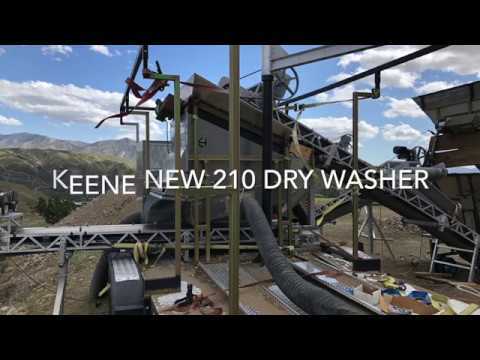 Keene's 160 series Dry Washer and Wet Washer is packed full of new improvements. The dry washer has been upgraded with a larger Blast gate providing greater air pressure control under the riffle board. The box now comes with bumpers for greater vibration control. The Wet kit has been completely upgraded with a all new hopper / grizzly system, larger pump, and a all new longer sluice box for higher capacity and greater fine gold recovery. This new model features a hopper that is nearly twice the size of earlier models. It’s longer and wider to accommodate greater volume. It also comes with both 1/4 inch and 3/8-inch removable classifier screens. Both screens are curved to improve degrading of clay and hard packed material and accommodate a rounded shovel. The new recessed spray bar is protected from impact of larger rocks and provides stronger and wider spray for a more complete washing of material. This Power Sluice is 20 inches wide, 8 feet long and capable of processing up to 4 cubic yards per hour. Model 17820CA includes only the concentrator. Model 17820 comes complete with a P185H motor; pump FVA 25E intake assembly and 50 feet 2 inch Nylobraid hose with couplings to complete the system. Model 178203 is equipped with a 3-inch suction nozzle and 20 feet of 3-inch suction hose. This combination makes it possible to vacuum material directly into the hopper where material is processed, and classified. Optional 4-foot extensions with legs are available in (Model #177E). This new improved Model can now handle up to a 4” dredge input. Larger engines and pumps may be required due to particular working conditions. The hopper is designed to accommodate intake sizes from 2 1/2, 3 and 4 inch. This video covers some of Pat Keene's Annual Yuba Bash. Shows some of the guys using the HydroAir 12 Volt compressor system. 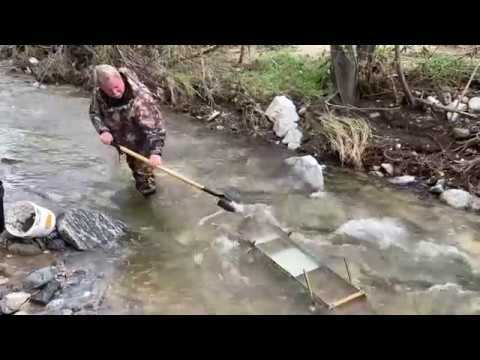 This is the ultimate tool for sniping for gold in the rivers. They had a great time found some amazing gold, what else can you ask for. 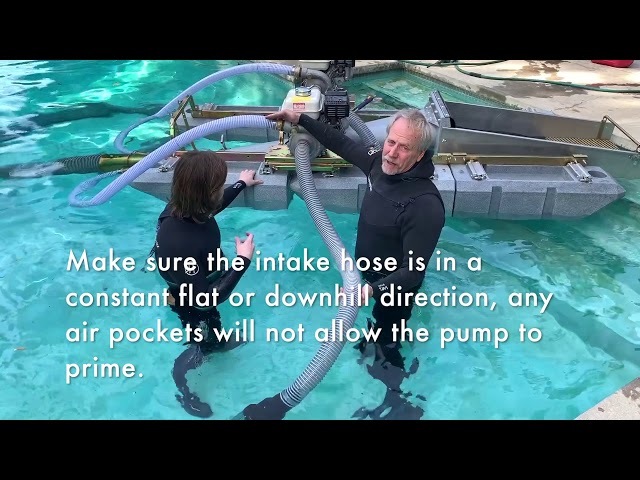 Chris Woods and Mark Keene are testing a new php500 pump with a series of different power jets and jet logs. Demonstrates a lot of testing of different facets of pump testing.